I have always been amused and surprised at the amazement on a guest’s face when I smack a clove of garlic and reveal the beauty that lies within. 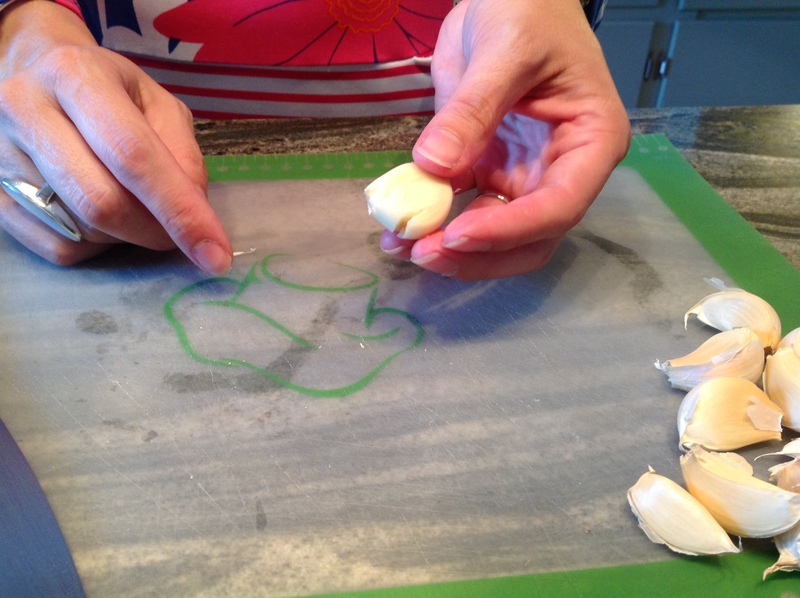 Most visitors here at The Kitchen Island are unfamiliar with the proper way to peel a clove of garlic. In fact, some are unfamiliar with garlic terminology. So, let’s begin there. These are two heads (not cloves) of garlic. 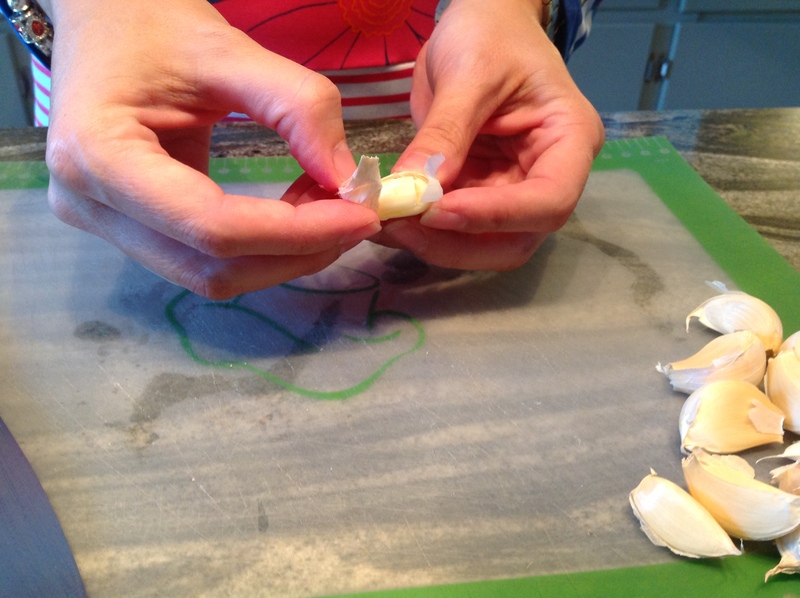 One needs to remove the paper-like skin from the heads to reveal several cloves of garlic. These are cloves of garlic. 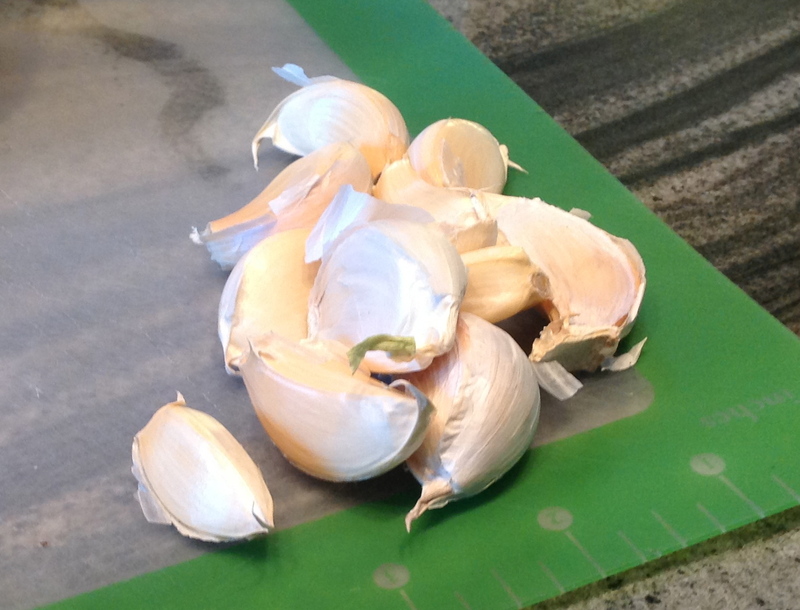 Now, lay one clove of garlic on a cutting board. 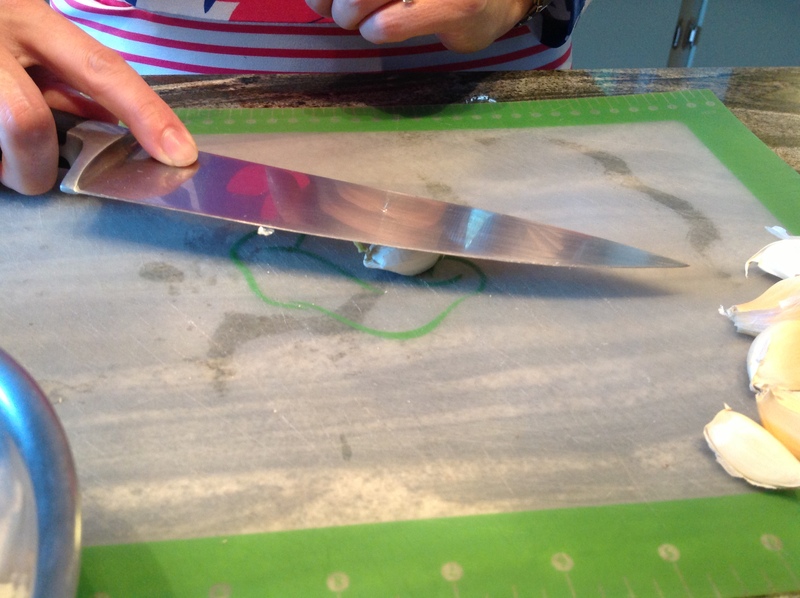 Place the blade of a very large chefs knife on top of the clove as shown here. 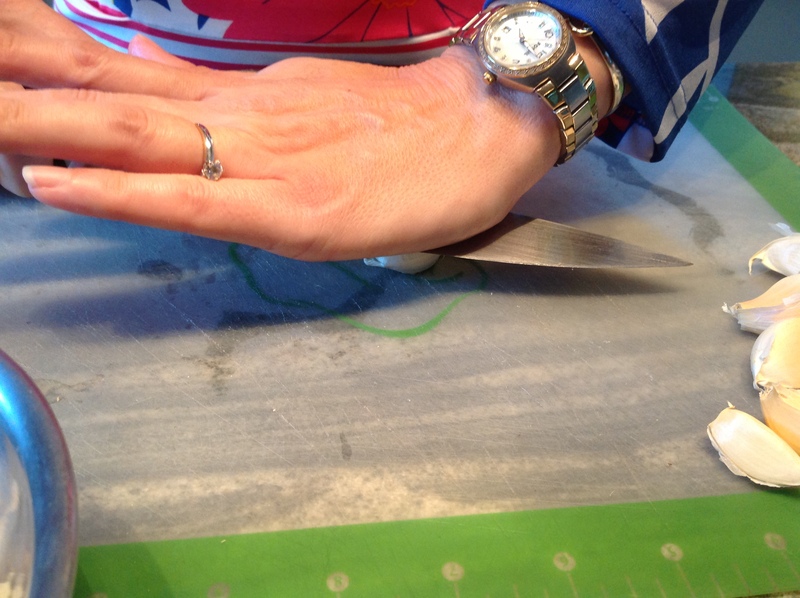 While holding the handle of the knife, whack the blade with your other hand as shown below. Whacking will crush the clove slightly and loosen the shell surrounding the clove. Remove and discard the shell. And there you have it! 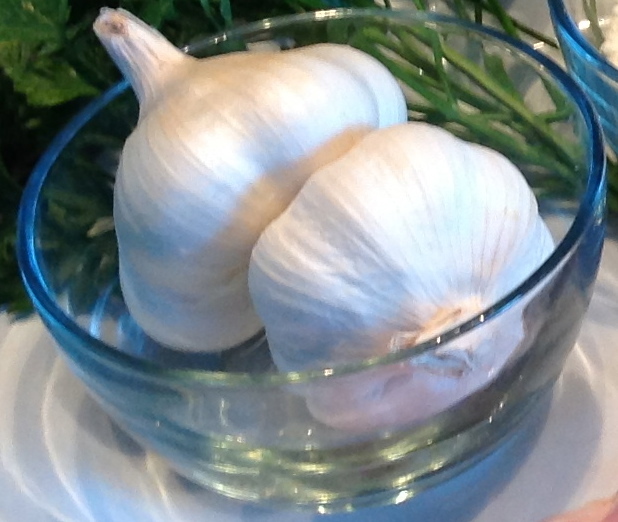 Freshly peeled garlic cloves ready for your culinary creations. 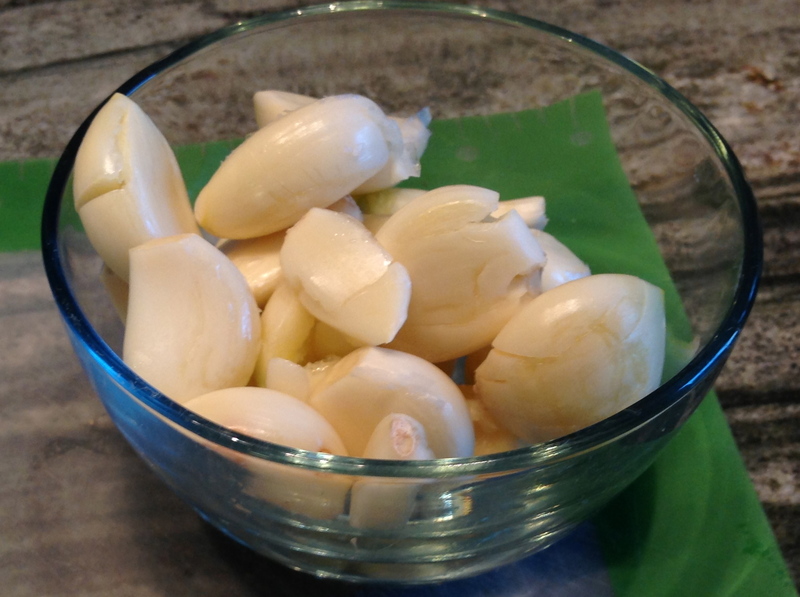 Peeled garlic cloves. Good with pretty much everything except the Cheerios!